The following year, the Hello Kitty Cafe Pop-Up Container was set up at the Irvine Spectrum, an outdoor mall in Southern California. What was supposed to be a one-year residency to cover up renovations is now a permanent fixture. A similar, albeit temporary, café launched this month in San Diego. Being in the food space is not new for the almost 60-year-old company: The first Sanrio food product it ever sold was Hello Kitty gum in the 1970s. But immersive food and social media-driven experiences, according to Takiguchi, are now a part of Sanrio’s larger strategy to connect with millennial and younger “Gen-Z” customers who may not grow up discovering their favorite characters inside a brick-and-mortar store. “A lot of it is through what we find out our fans are interested in through social media. Food subjects are the number one interest on Instagram for our customers,” Takiguchi said. 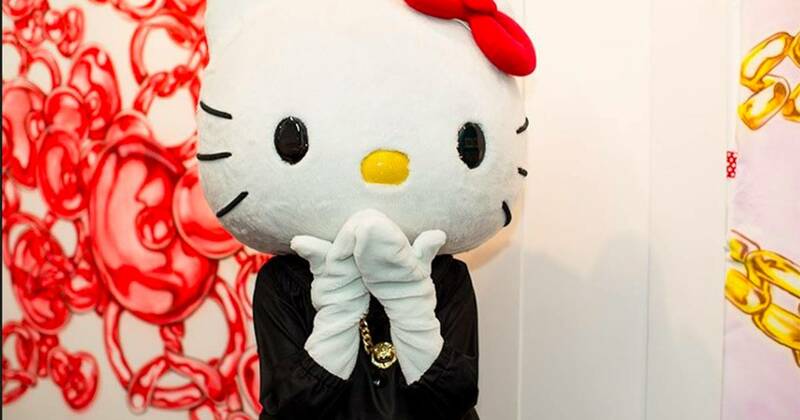 On the photo-driven social media platform, the character account for Hello Kitty alone has almost one million followers. The brand has partnered with restaurants like Curry House, which debuted a menu featuring a character, and even local, family-run farms like Orange County-based Tanaka Farms, with whom Sanrio collaborated with last fall for a yearlong partnership. The new retail landscape has also influenced how Sanrio introduces new characters from its universe, leading with content instead of coin purses. Two of its newest additions: Gudetama, an apathetic egg yolk and Sanrio’s first gender-neutral character, made its debut via a short film in 2014, after a public vote for new characters based on popular Japanese foods. The character was introduced to the U.S. market in 2015. The genderless cartoon food has its image on a range of office supplies (toilet paper, pencil toppers) as a testimony to his aversion to work. It also, somewhat ironically, adorns the cushions and tables of a communal area at the Sanrio offices. Aggretsuko, a disgruntled red panda office worker who loves heavy metal karaoke, was first introduced to audiences in 2016 through a series of minute-long videos that aired on a Tokyo Broadcasting System Saturday morning program. In April, Netflix debuted an animated Aggretsuko series that touched on issues of workplace sexism, harassment and antipathy to positive reviews. To coincide with the series, a pop-up store called the “Den of Rage” was set up in the Little Tokyo district of Los Angeles, complete with a replica of Aggrestuko’s office cubicle and karaoke stage. A digital-first strategy is both new and challenging for Sanrio, said Takiguchi, as are its new characters. He added that Gudetama’s gender non-binarism and Aggretsuko’s animosity toward corporate culture speak appeal to attitudinal norms associated with millennials and younger fans. According to Takiguchi, retail sales are still the company’s bread and butter, hence its focus on “gift-giving.” But, increasingly, social media-driven experiences, food and programming that immerse fans in the Sanrio universe are what’s going to turn them into paying retail customers. In North America alone, he estimates that food-related ventures currently make up 10 to 15 percent of Sanrio’s revenue and anticipates that revenue stream to increase over the next five years. With Sanrio marking its 45th anniversary in the U.S. in 2019 and with the Olympic Games coming to Tokyo in 2020, Takiguchi says fans can expect more products — but also more social media-ready experiences. I Love Selling. Here’s Why.